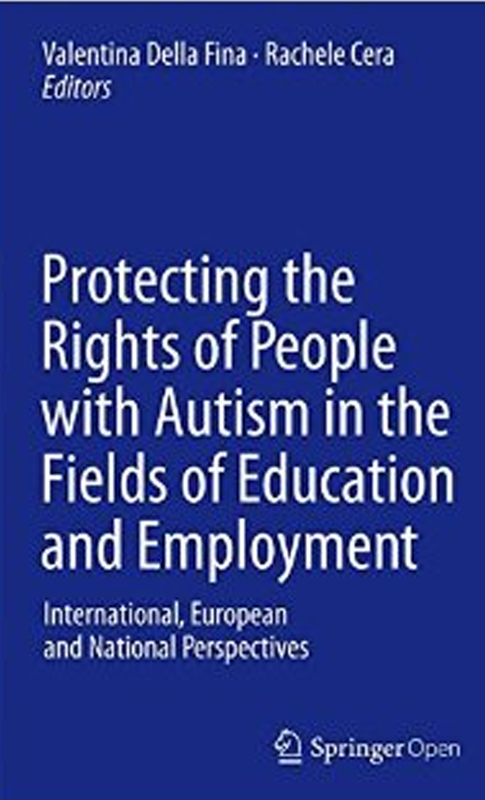 The right to education is key to enable people with autism spectrum disorders to develop to their full potential and be included in the community. 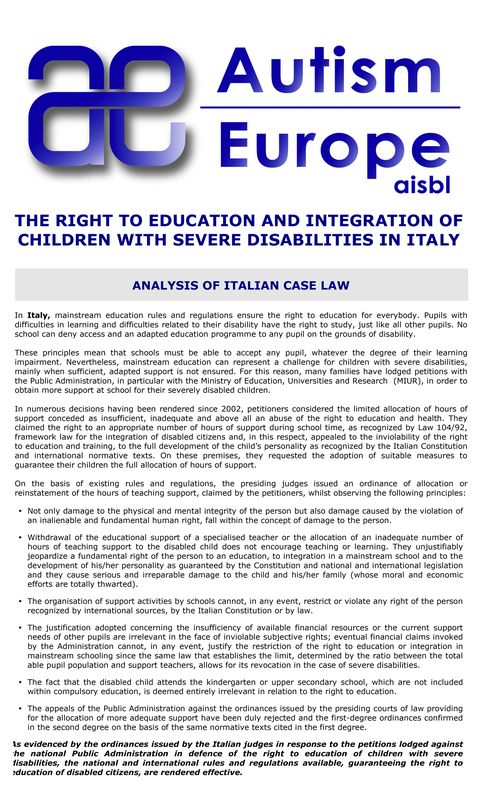 Legal instruments exist at international, European and national levels to provide children with autism with adapted education according to their specific needs. 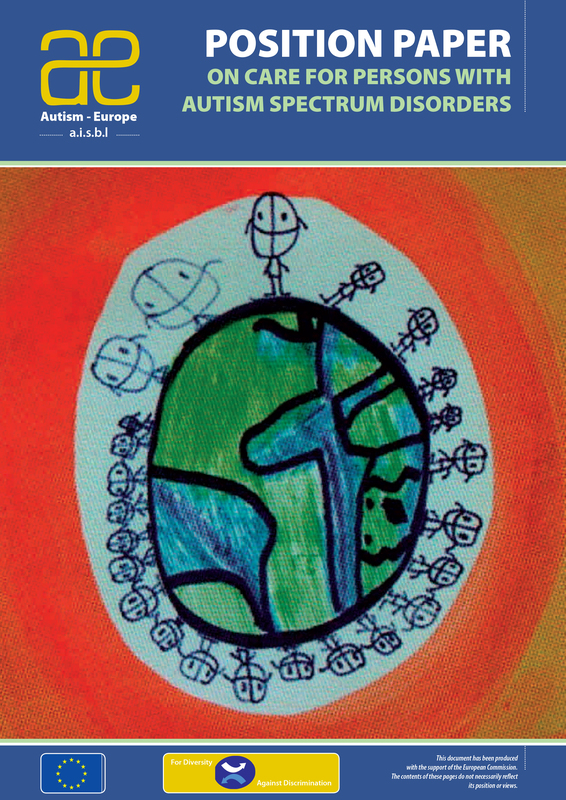 Education must be adapted. 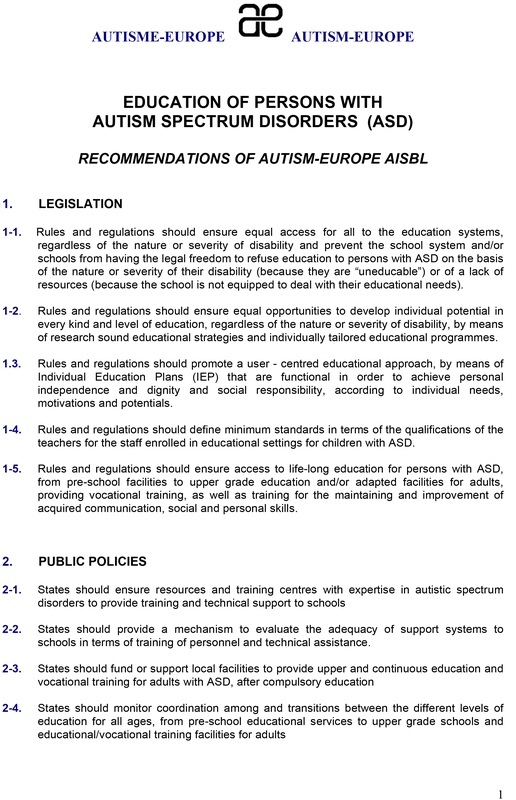 This also means that apart from teaching academic skills, education of people with autism must include preparation for an independent life, adaptive behaviours and social skills. 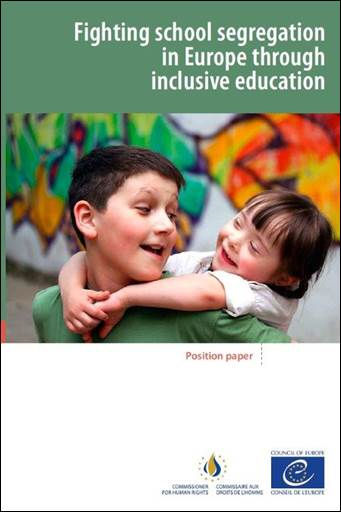 Adaptive skills are critical factors in determining the supports the person requires for success in school, work, community, and home environments. 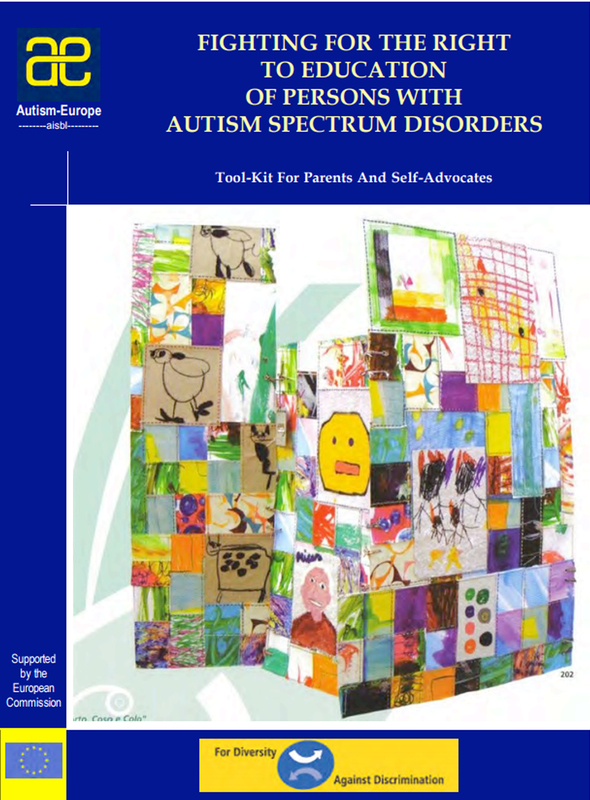 In order to help self-advocates, Autism-Europe has published a number of information documents and toolkits. 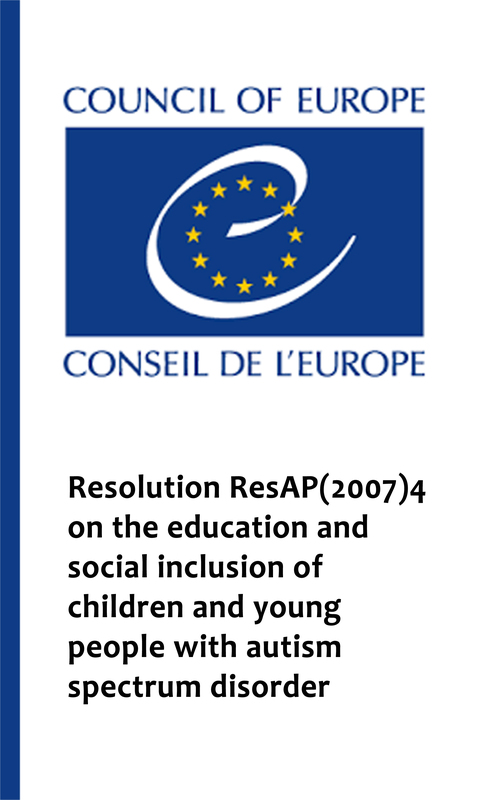 Autism-Europe has also successfully lodged the first collective complaint before the Council of Europe in 2003 against France. 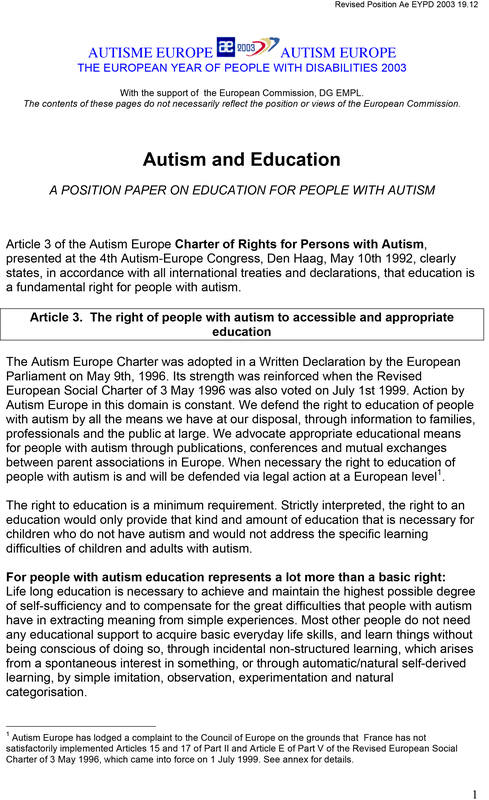 Autism-Europe has been actively involved in a number of projects in the field of life-long learning for people with autism, notably thanks to the Grundtvig and Socrates programmes (see activities section) of the European Commission. 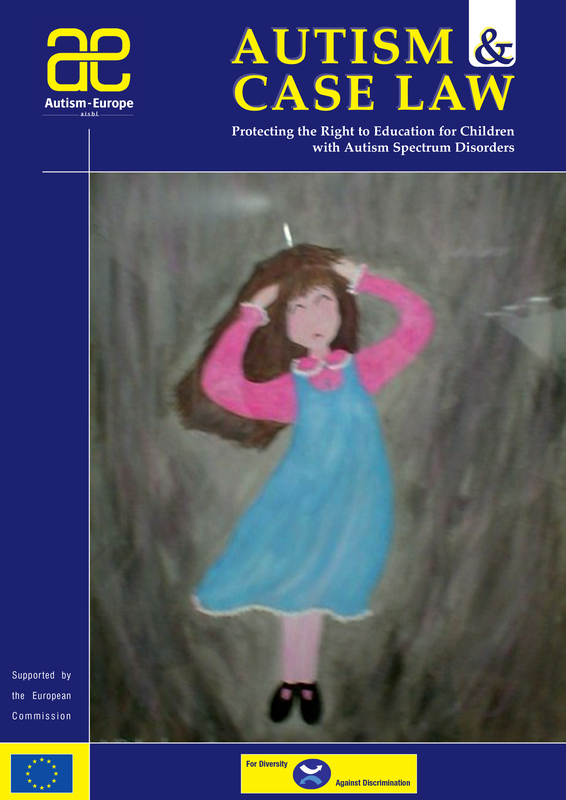 Under the United Nations Convention on the Rights of Persons with Disabilities, autistic people have the right to lifelong education that is adapted and appropriate to their needs.